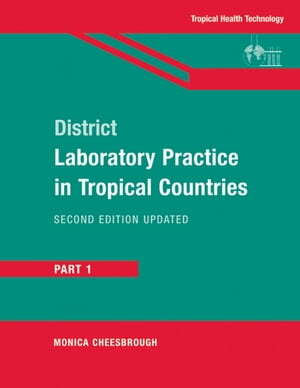 Collins Booksellers - District Laboratory Practice in Tropical Countries, Part 1 by Monica Cheesbrough, 9781139636483. Buy this book online. Changes in the organization of health services in developing countries have led to the district level assuming more responsibility for the planning, delivery and quality of community health care. This fully up-dated new edition has been produced to help those working in the district laboratory, and those responsible for the organization and management of community laboratory services and the training of district laboratory personnel. Replacing the previous publication Medical Laboratory Manual for Tropical Countries, this book provides an up-to-date practical bench manual, taking a modern approach to the provision of a quality medical laboratory service. It includes practical accounts of: organization and staffing of district laboratory services; total quality management; health and safety; equipping district laboratories; parasitological tests, illustrated in colour; clinical chemistry tests; how to plan a training curriculum for district laboratory personnel. Volume 2, published in late 1999, covers microbiological tests, haematological tests and blood transfusion tests.